The Uinta Mountains include over two million acres of true backcountry wilderness. The views are breath taking, there are lakes everywhere, and some of the mountain peaks are over 13,000 feet above sea level. This remote high-alpine terrain is just a 45-minute drive from our shop, and the drive alone provides plenty of scenery. Each tour is customized based on your interests and the conditions of the day. 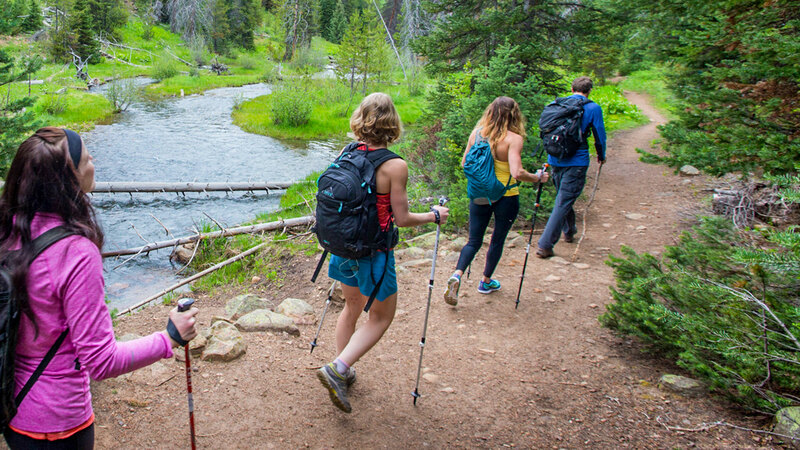 Our wilderness hiking guides have the local knowledge, years of experience, and various certifications, including some with Wilderness First Responder (WFR) certification, to ensure your safety on the trails. With all the details handled, you can just relax and enjoy the pristine beauty of places you’d never go on your own.